Taste test: I really liked these chips. 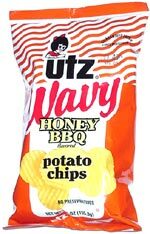 I had already tried Utz Honey BBQ regular (non-Wavy) chips, and those were good, but these are even better. The Wavy chips were large, unbroken, crunchy, crisp and thick, with lots of potato flavor and a nice honey barbecue seasoning. This was the best Utz chip I ever had. 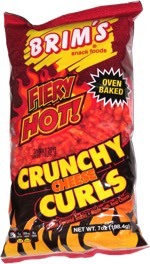 This snack was discovered by Jeremy at Pathmark, Grays Ferry, Philadelphia.